Low Voltage Systems, Car, Loose Wires, Fuses, Battery, Etc. For the home mechanic and electrician. Which is perfect for using with a Motorcycle, Rv, Car, Truck or Boat. It also tests small equipment and home electrical systems which is ideal for any homeowner. Speed up the job yourself! Checking fuses is quick and safe. You can pierce through insulation and reach into fuse boxes while keeping your hands safe. The 5 foot cord allows for great range and flexibility while in use. Power outlets and much more. Eliminating any guesswork so that you know for sure. 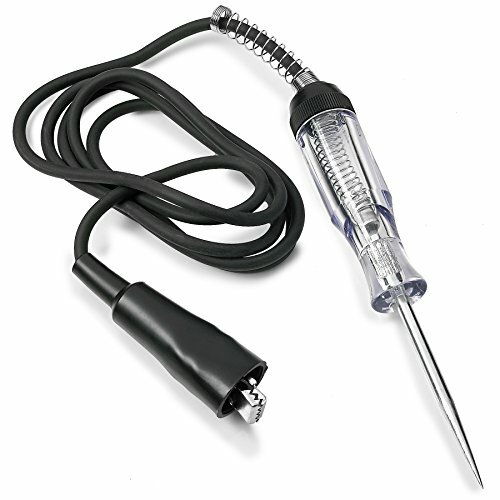 This circuit tester will get the job done every time.